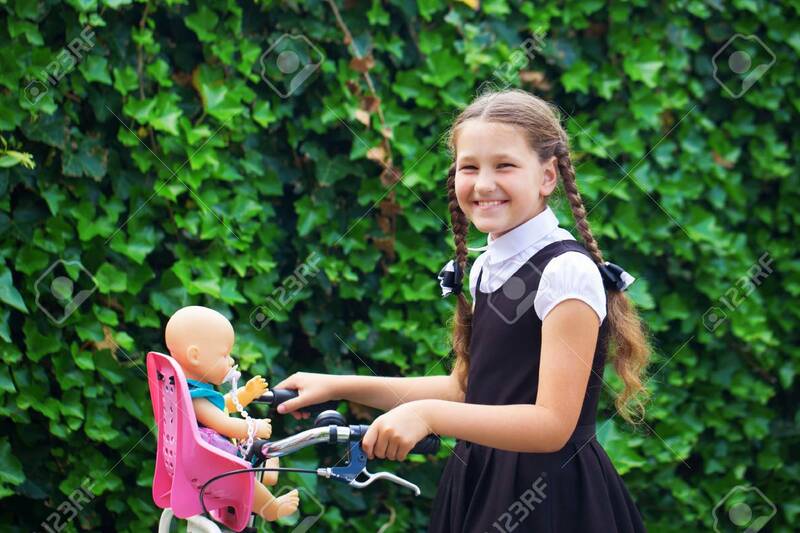 Portrait Of A Girl In A School Uniform Who Rides A Bicycle. The Girl Goes To School With Her Doll. Bike Is Non-polluting And Healthy Transport. Happy School Childhood Concept. Back To School. Lizenzfreie Fotos, Bilder Und Stock Fotografie. Image 102727074.